It’s that time of year when the trees have started to fully pop with leaves, the flowers and coming up and everything is looking green and pretty. It’s also that time of year when my sinuses go crazy and hate me. Thankfully I can take lots of stuff to make that a bit easier. It also means I can throw open all the windows and listen to the birds happily chirping at the great weather. I have started a couple projects in the last few days. That’s the problem when I don’t feel well. I need something new to occupy my mind. 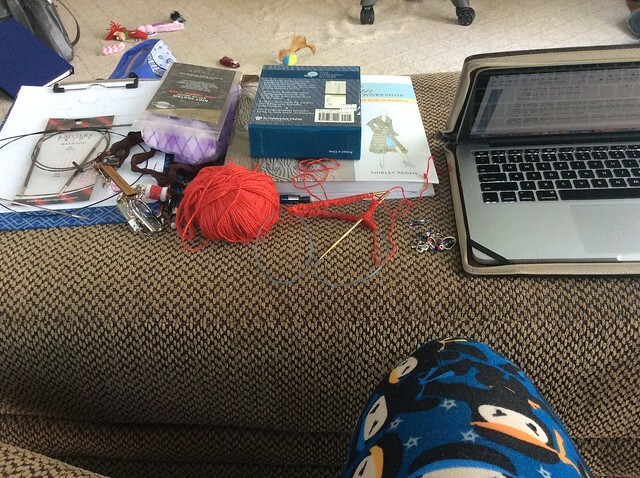 Just ignore that bag of wips..and that bag….aaand that bag. lol We went out to the local yarn store last week to meet up with a friend who was in town, and I was drawn to this lovely Miss Babs yarn. I mean, when am I not?! I love her yarn. I think I have a problem. lol This one is Miss Babs Yowza in the Adobe colorway, and it’s so pretty! It’s a light dusty rose color and it’s gorgeous. It will become a sweater soon..I hope. Again, ignore the two sweaters I have on the go already. The pattern is Jesse’s Girl in the book by Kate Oates called “Grown”. It’s such a pretty sweater. It’s a pullover style, with lovely cables on the arms and the body. I thought the cables would make it go slower, but so far it’s going really well. The pattern starts with having you knit the sleeves, which I love. I usually do that with my sweaters, because I almost always lengthen the body. Doing the sleeves first means I know that the yarn I have left is all for the body. New Release! Introducing HopScotch Socks. This simple, easy to remember pattern is great for travel knitting. I was trying to design a pattern that would be easily transportable for car rides, or doctor appointments. The pattern is a simple knit and purl design, that resembled the tiles of the hopscotch game I played as a kid. It brings back fond memories of spring coming around and finally being able to play outside with friends. 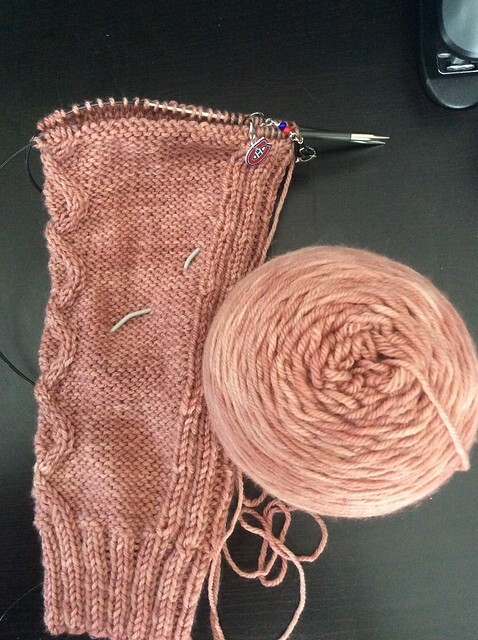 It was a great combination to go with the idea of being out and about with your knitting. The sock is a toe up design, with a simple heel flap. 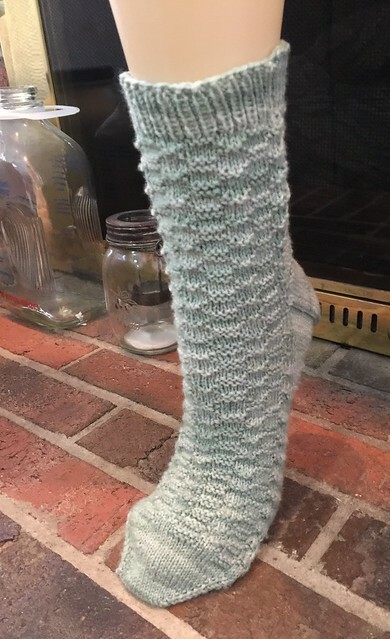 Since there is nothing other than purls and knits, it’s a great beginner pattern to learn how to knit socks. You can find this pattern on my Ravelry Store, or on Craftsy.